Rudi Dekkers wakes up every morning thinking of Sept. 11, 2001 and wondering if he could have done something to prevent the attacks that left nearly 3,000 people dead. Dekkers owned the flight school in Florida that unwittingly trained the two men who flew airliners into the World Trade Center 11 years ago today. He interacted with them nearly every day for six months, leading up to the attack, as they took pilot training at his school, Huffman Aviation in Venice, Fla.
"Everybody always asks me, did you see anything, was there something in hindsight? I wish, I wish, I wish that we saw something, because then I would not be infamous, I would be a hero," Dekkers told CTV's Canada AM on Tuesday. Dekkers has written a book, "Guilty By Association," about his experience with Mohamed Atta and Marwan al-Shehhi, the two hijackers whose act of terrorism left nearly 3,000 people dead. Although he had an immediate dislike for Atta, who was often an inattentive student and was rude to the instructors, particularly the female staff members, Dekkers said he never had reason to suspect the two men. He recalled the day he first met them in July 2001, while taking a coffee break in the office of his school. "Atta walked in with al-Shehhi and I never liked Atta," Dekkers said from Houston, Tx. "I called him from the first minute 'dead man walking.' Maybe I should have listened to my own feelings that day but even if you don't like somebody you don't know what he's going to do. I mean, who knew?" Dekkers said Atta's rude behaviour, arrogant attitude and failure to listen to his instructors forced him to sit him down about two months into the course, and warn him that he faced expulsion from the school if he didn't change his behavior. "I told him if you don't behave, I'll kick you out of the flight school, and he started behaving," Dekkers said. Al-Shehhi, on the other hand, left a positive impression on Dekkers. "Marwan was a nice young fellow, he was 23 years old when he came to my school. He was normal. Well, he was not normal, obviously, but the moment that I knew him he was funny, he had jokes…sometimes dirty jokes, but he was normal." It wasn't until the morning after the 9-11 attacks that Dekkers said he realized al-Shehhi and Atta were involved in the terrorist attacks. He was up early, watching news reports, and received a call from his office manager. Two FBI agents had come to the school looking for Dekkers. "She handed them the phone and the guy said 'Mr. Dekkers we need two files, two students who flew with you. He didn't say anything about the attacks or that they were associated but of course I knew right away what was going on. It was unbelievable, unbelievable." Dekkers said the 11 years since that moment have been difficult. His business collapsed, he says, due to his connection to 9-11, he has received death threats and has struggled to find employment. There has also been a persistent belief, based on early media reports, that the two men only wanted to learn how to steer planes, not how to take off and land -- which some have suggested should have triggered suspicions at the school. Dekkers dismissed those suggestions, saying the school often had rich students from the Middle East who simply wanted to "play," and it was the instructors' job to ensure they learned all aspects of flying. Dekkers said he has begun to regain some ground in the last two years, with the publication of his book and a gig as a keynote speaker addressing groups about the power of the human spirit to overcome challenges. "We need to fight every day for our life. I'm not going to sit back every day and think it was bad. Yes it was bad, but life continues." 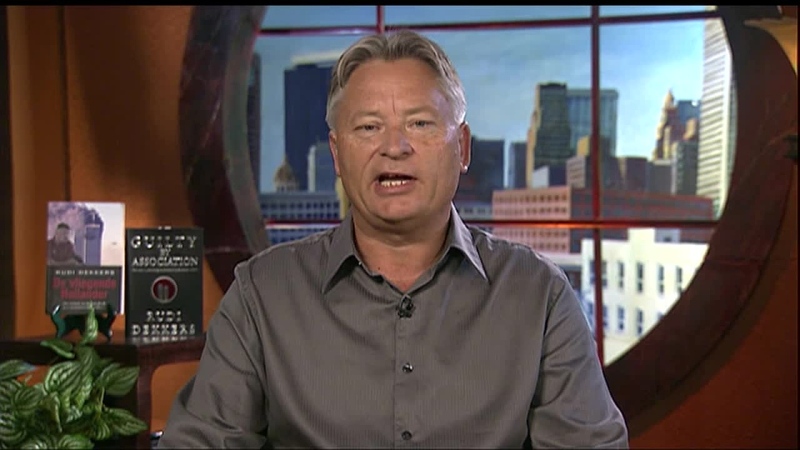 Rudi Dekkers tells CTV's Canada AM on Sept. 11, 2012 about unknowingly helping train two of the 9-11 hijackers.